All four cities are suffering water problems in 2018. The problems are not the same, but the search for solutions – changes in land use, planning and governance – are remarkably similar. Progress on this front has been slow, and is likely to lag behind events. Paris did not take the risk of flooding seriously until 2003, when the flooding of the Elbe River in Central Europe showed that there is a “preparedness deficit”. Will leaders and citizens be content just to watch pictures of floods in France, mudslides in Santa Barbara, Venetian canals without water, or water systems in South Africa running dry, and think themselves fortunate? Or will they become pro-active, understanding that risk assessment may expose some problems that are difficult to solve? Beautiful cities in historic locations – and the destination of millions of tourists – Paris and Venice are defined by their relation to water. The Seine in the middle of Paris, together with its banks and the views along them, are protected by the UNESCO World Heritage label. The year 1910, when the Seine rose to 8 meters above its course, remains, for better or worse, the benchmark. 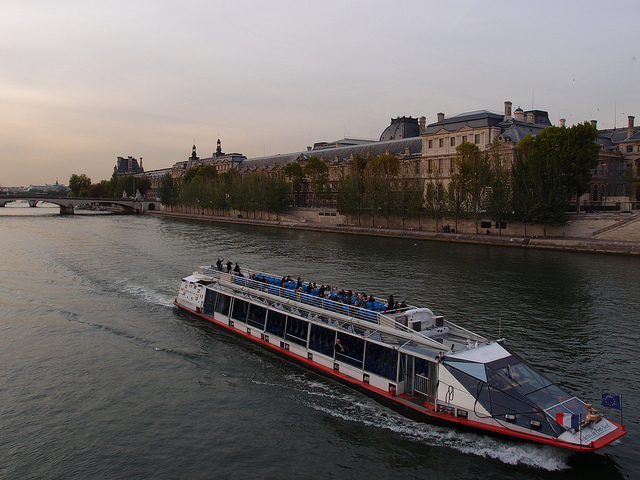 At between 7 and 8 meters above its level, the waters of the Seine would trigger preventive measures, cuts to electricity to large parts of the city, and closure of many transport routes including service to two main railroad stations. In order to protect its infrastructure, the city would effectively shut down days before the worst of the flood. The economic cost would be huge. In June 2016, the waters rose slightly above 6 meters before declining; in January 2018, the level of the Seine rose to just under 6 meters above normal, a sight attracting news crews and tourists alike. By coincidence, during the 2018 episode the Organisation for Economic Co-operation and Development (OECD) released an update on its 2014 study of flood protection in Paris and surroundings. Findings show that changes in policy quickened as more people in government became more conscious of risk. Second, because memories fade, the challenge in 2018 and after is to increase long-term commitments. Resilient territories however remained the category for which little or nothing had been accomplished. Not a single quartier résilient yet exists, a goal requiring the active participation of property developers, creative design, the production of cost-benefit studies, the integration of flood abatement into standards for “eco-neighborhoods” and certification, and oversight for coherence across a region of 12 million people in over 1,200 municipalities. The task is urgent: coastal regions in France are expected to cope with 43% of the country’s growth by 2040. That’s 4 million new residents, nearly half the population of Greater Paris today. Coastal erosion is however dramatic: the 240 kilometer long coast of Aquitaine loses between 1.7 and 2.4 meters a year, and perhaps 7 meters in the storms of 2017. Planning ahead may mean anticipating the costs of relocating people from areas prone to flooding in the future, planting vegetation in wetlands, and designing new ways of delivering services to people when these are disrupted by flooding. We cannot take resilience for granted. Resilience involves engineering and construction, transportation, water and power systems, but also health care, education, policing – services which are managed in vertical silos and are difficult to coordinate. We talk a lot about integrating policies because everything is inter-connected, but integration is in fact very difficult. To make a territory resilient takes leadership and innovation. There is no silver bullet. Often rules have to be broken, habits challenged, budgets restructured. Deadlines are missed, promises forgotten. The public may be indifferent, even hostile. Disaster movies, after all, are about events that take place at least a century from now. Cautious politicians may want to wait to see the evidence from examples elsewhere, but there are few; no two situations are identical; and it may take years until an evaluation can be made. A new paradigm in economic governance is needed to change the way the decisions about how cities are built and governed are made, and to change the social objectives for living in cities. As the late Sir Peter Hall observed when writing about innovation, no one can predict where to find it, or which city will be innovative, and in what field. The competition is open. Today, productivity is below the historic trend, and investment is not keeping up with needs. But historically, innovations to make cities safer and more resilient always boosted productivity and made better use of capital. Resilient territories: a competition in which there are only winners. NewCities should be in the forefront helping to encourage innovation, promote and evaluate it, and get both the public and private sectors behind it.